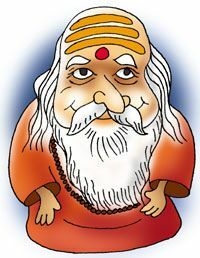 The Congress is eyeing the Dwarka Peeth Shankaracharya, Swami Swaroopananda, with hope. Senior party leaders feel Swami Swaroopananda, known to be anti-BJP, can be persuaded to issue a statement against the BJP's prime ministerial candidate Narendra Modi closer to the voting date in Varanasi. In the recent past, the Shankaracharya had spoken against BJP workers raising the 'Har Har Modi' chant in Varanasi. Efforts are also on to ensure a meeting between the Shankaracharya and Priyanka Gandhi. But the BJP camp is equally confident that Swaroopananda would not risk losing his 'credibility' or 'politicising' his spiritual authority when the outcome of Varanasi polls is set to go against the Congress. Have you read Poll Gupshup? No? You must! What is Sonia's second prayer at Ajmer for?